Listen, we get it. Not every reader is looking to tackle War and Peace and that is A-OK. There is no rule that says you need to tackle novels to be a “real reader”. And you know what else? We get why everyone loves the Guinness Book of World Records - who wouldn’t want to know who holds the record for the most Big Macs consumed in a lifetime? Guinness is interesting, engaging, random, sometimes weird and sometimes gross. We also love Guinness because it is low-commitment. You can open to any page and GO. Novels, love them though we do, require more of a commitment from start to finish to get the full effect. Guinness can be for excellent DEAR (Drop Everything And Read) time - in those 20 minutes after lunch, you can flip to any page and go. We like that. BUT if you’ve gotten to the point where you’ve been re-reading a battered copy of the 2014 Guinness Record book… I think we can do better. From the publisher: Danger! It lurks at every corner. Volcanoes. Sharks. Quicksand. Terrorists. The pilot of the plane blacks out and it's up to you to land the jet. What do you do? 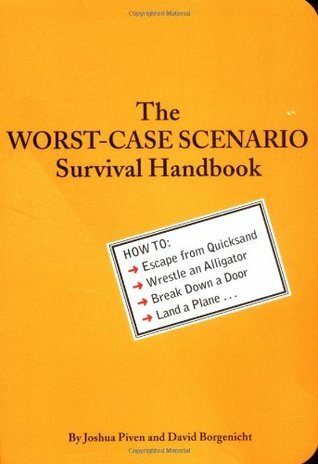 The Worst-Case Scenario Survival Handbook is here to help: jam-packed with how-to, hands-on, step-by-step, illustrated instructions on everything you need to know FAST. From the librarian: Please don’t try this stuff at home. Like, really, please don’t. From the publisher: How could it get any worse? Imperiled readers will learn immediate, hands-on strategies for surviving an elephant stampede, a 16-car pile-up, a mine collapse, and a nuclear attack. Discover how to control a runaway hot air balloon, break a gorilla's grip, endure a Turkish prison, and free a limb from a beartrap. Whether stranded on an iceberg, being chased by a pack of wolves, spinning out on a motorcycle, or being buried alive, The Worst-Case Scenario Survival Handbook: Extreme Edition has all the right stuff for those times when everything goes wrong. From the librarian: See above. Seriously. Don’t. 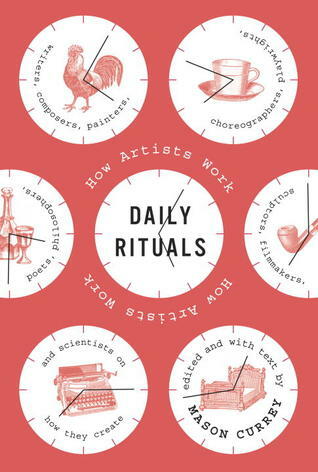 In a similar format to Origins of a Song, this book looks at the daily rituals of different artists - poets, visual artists, dancers, choreographers, sculptors, filmmakers - you name it. From early risers to all nighters and everything in between, the “chapters” are just a page or two and document the day-to-day lives of artists and how they work and create. From the publisher: Around the World, continent by continent, here is the best the world has to offer: 1,000 places guaranteed to give travelers the shivers. Sacred ruins, grand hotels, wildlife preserves, hilltop villages, snack shacks, castles, festivals, reefs, restaurants, cathedrals, hidden islands, opera houses, museums, and more. Each entry tells exactly why it's essential to visit. A most excellent read for daydreamers (myself included)! Chuck D. Presents This Day in Rap and Hip-Hop History by Chuck D.
It was an LSS student that told me I needed to buy this book for our library, so buy it I did! From the publisher: [Chuck D.] details the most iconic moments and influential songs in the genre's recorded history, from Kurtis Blow's "Christmas Rappin'" to The Miseducation of Lauryn Hill to Kendrick Lamar's ground-breaking verse on "Control." A must-read for hip hop and music fans in general. Wayne Gretzky wrote this collection of 99 short stories to commemorate the 99th anniversary of the NHL. Every story is something different - from little-known stories about his own career to various fun facts like… did you know that early on, games were played in two thirty minute halves? This was later changed by the owners to three twenty minute periods so that fans would empty their pockets at the concessions more often.